People with an interest in Italian travel generally have heard of Tuscany and Umbria. 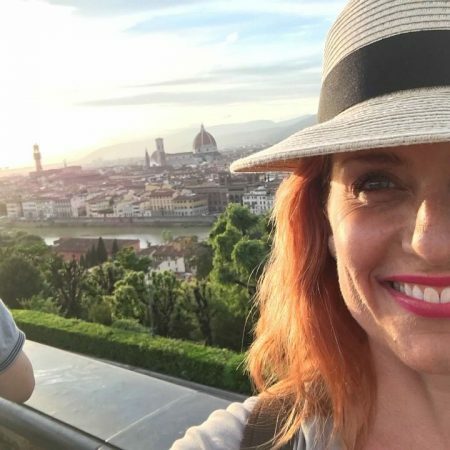 But it seems that very few have heard of Basilicata, the dry, mountainous region in the instep of the Italian boot that is bordered by Campania and Calabria on one side, Puglia on the other, and whose southern coastline is on the Ionian sea. This also means that most people have not heard about one of the most spectacular places I have ever visited, the city of Matera. Matera is one of the oldest continuously inhabited cities in the world, it’s history dating back to paleolithic time, roughly 10, 000 years ago. Matera is famous for it’s ancient cave dwellings which are in the section of the ancient town known as the Sassi. A gorge splits the land wide open and is filled with more than 1500 caves that have been homes since the paleolithic age. In the middle ages many of the larger caves were built out with more traditional house fronts added, during a time when the city thrived. the gorge rolls down to a flowing river, crossab;e by a rope ans wood bridge. The more wealthy you were, the higher up the hill your house was, allowing more light to flow in. The poorer you were the lower down the gorge you lived, with the least available light. The lower down the hill the less building there was, until all there were were caves. Consequently most of the exterior building happened higher up the hill. Matera wasn’t built from the ground up, it was quite ingeniously built from the ground down. They literally dug down even sized blocks of stone to create new houses or rooms. Some of the caves were built into beautiful rupestrian churches, adorned with their byzantine styled frescoes. 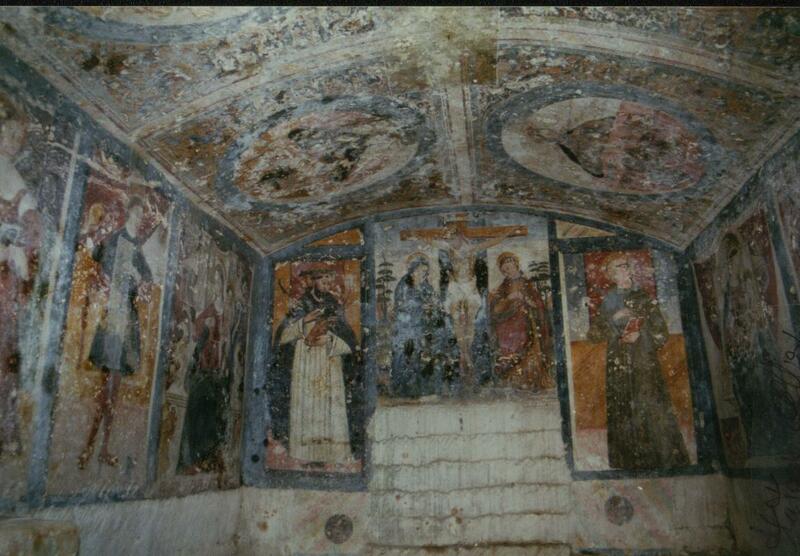 Photography inside the Rupestrian churches is forbidden, so the fresco images used here are from the web. 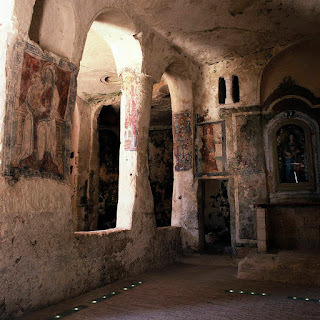 The frescoes in the churches are painted in archaic Byzantine styles that are 200 years behind the style of their contemporaries being painted throughout Italy at the same time ( the1300’s), which is a good indication as to how remote and isolated Matera was. But still they are breathtaking. The prosperity that Matera knew until the 19th century waned until it eventually became poverty stricken. In 1935 Mussolini exiled writer and painter Carlo Levi to the Basilicata. 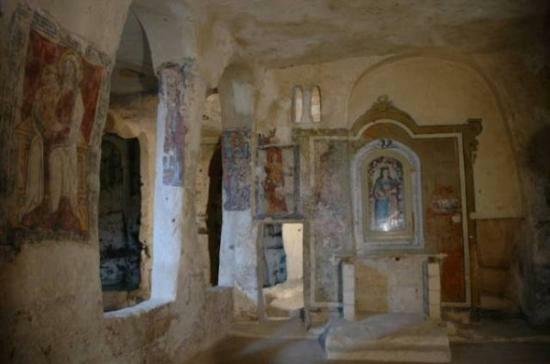 He was tormented by what he saw in Matera, cave homes with 20 plus people and their animals all living in one room, children looking like famine victims with grossly bloated stomachs and skeletal limbs, too disheartened to wipe flies from their eyes. No running water or sewerage, rampant malaria, devastating poverty. He wrote the book “Christ Stopped At Eboli” (published in 1945) about what he saw in Matera, a place so cut off from the rest of the country that almost no one in Italy had even heard of it in the 1940’s. For most Italians this was the first they heard about Matera and the dreadful conditions the people were living in. The book struck the very soul of Italy, and for decades was part of the school curriculum. 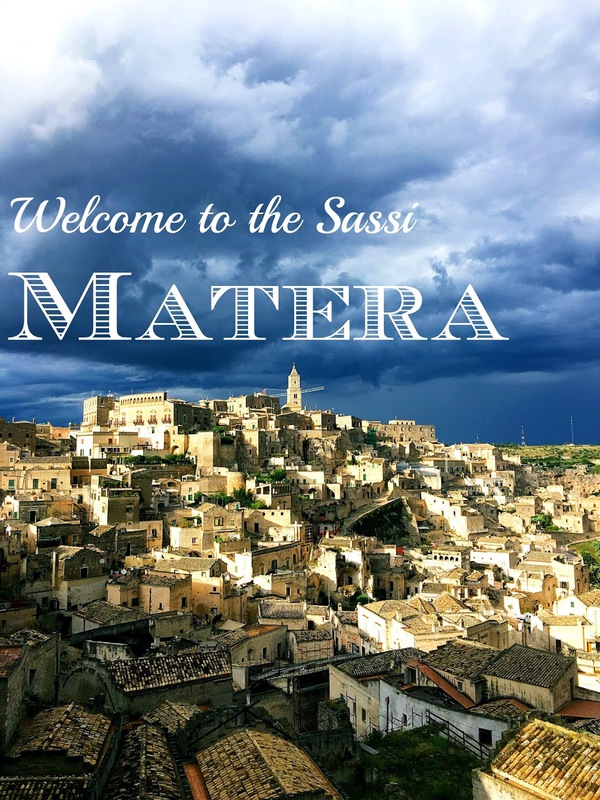 By the 1950’s Matera had become the shame of Italy. The government built new housing in the upper part of the city, outside of the old town, and started moving families out of the caves and into apartments. The government took over ownership of the sassi, and from the 1960’s until the beginning of 1990 the sassi essentially was abandoned, apart from squatters here and there. By the early 1990’s people started moving back. The government created a program whereby if you committed to rebuilding and renovating the cave homes you could have them rent free for 30 years, followed by a 99 year lease. This has helped Matera turn into a vibrant, arty, fabulous city that has been named European City Of Culture for 2019. 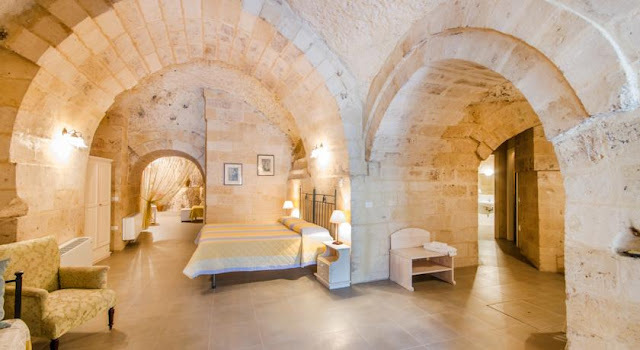 The sassi became re-gentrified, homes and luxurious hotels were built inside the caves, followed by restaurants, bars and shops. A huge portion of the sassi has been kept intact and unchanged for posterity, and is used in movies that need an ancient feel, such as The Passion Of The Christ. The rest has become one of the most chic, unique and fabulous places you will ever visit. The Glam Italia Tour stayed here at Le Dodice Lune hotel deep in the sassi. See the hotel link below. Matera is a city that will take your breath away. The combination of the rich history, the brilliance of the architecture and the design of the sassi, the abject poverty turned into successful rehabilitation, and the absolutely exquisite beauty of this place works its way into your heart and leaves you aching to go back.